Tuesday's discussion between officials of the Department of Justice and state attorneys general focused on the rapid growth of tech companies like Facebook and Google and their handling of user data. Officials from 14 states' top legal offices and the Justice Department have begun a coordinated conversation about ways to keep tabs on — and potentially rein in — the fast-growing tech giants. The Department of Justice on Tuesday convened a "listening session" with nine state attorneys general and top deputy attorneys from five other states. The meeting was originally pitched to focus on allegations of anti-conservative bias on social media. 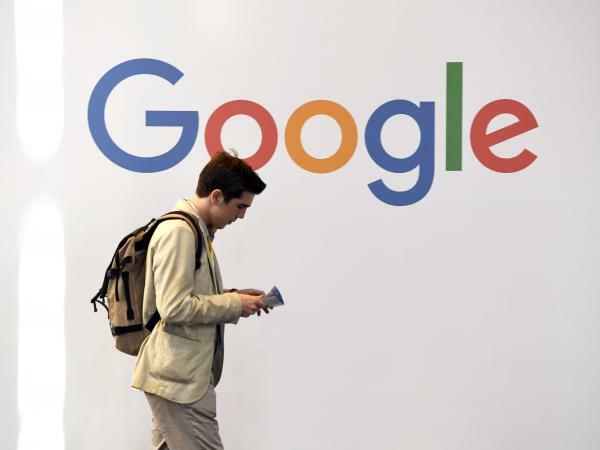 But the discussion featured a broader group of topics in the tech industry, including the rapid growth of tech companies like Facebook and Google and their handling of user data. The attorneys general also talked about how antitrust laws might be used to set the right standard of consumer privacy. "The discussion principally focused on consumer protection and data privacy issues, and the bipartisan group of attendees sought to identify areas of consensus," the Justice Department said in a statement after the meeting, which was closed to the press. "Many shared the view that it is essential for federal and state law enforcement authorities to work together to ensure that these challenges are addressed responsibly and effectively." Much of the conversation in recent weeks has focused on Facebook, Twitter and Google, which were recently called to testify in Congress about the use of their platforms for misinformation campaigns. But at Tuesday's meeting, "more names were mentioned" than just those three companies, according to California Attorney General Xavier Becerra, who attended the meeting. "There's a recognition that privacy has a different definition for everyone these days. What does matter is how the law treats privacy," which is also unclear, Becerra said. "But clearly ... rarely do you have a discussion about privacy without ultimately having a conversation about antitrust." Last week, Louisiana's The Advocate newspaper reported that Jeff Landry, the state's attorney general, "would like to see Google, Facebook and other major social media behemoths broken up like the federal government did to Standard Oil more than a century ago." Landry was also at Tuesday's meeting; his office did not respond to NPR's inquiry. Tuesday's conversation at the Justice Department did touch on historic cases when the government moved to break up companies, such as Standard Oil and Microsoft, Becerra told reporters after the meeting. "The subject was raised as part of a conversation about how you deal with the growth and size of companies," said Becerra, a Democrat. "But I don't think there was a specific notion that simply dealing with size would get you the answer you need." Nebraska Attorney General Doug Peterson told NPR that the next step for his counterparts was to figure out which states might be interested in a multistate effort focused on consumer protection. He said Tuesday's meeting came out of a presentation he and a few other attorneys general heard in June about how Internet companies collect data. "One of the things that concerns me a great deal is the amount of data that is taken in so many different areas where I think the consumer has absolutely no awareness, for example mapping locations," said Peterson, a Republican. "One of the most important things is to make consumers aware of what these practices are and how it impacts their privacy." As NPR reported previously, state attorneys general can have broad oversight power over social media, thanks to their consumer protection purview. Already, several of them have been investigating the tech companies. Cases have focused on the collection and use of private data, disclosures of sponsors behind political advertising and how advertisers might exclude people from seeing ads such as those based on race or religion. Both Becerra and the Justice Department said the attorneys general plan to continue this thread of conversation in the coming months. The National Association of Attorneys General has a fall meeting scheduled for November. Top U.S. Justice Department officials met this morning with a group of state attorneys general to talk about the tech industry. The Justice Department had originally pitched the meeting as a focus on allegations that the social media companies suppress conservative viewpoints. But the conversation went far beyond that to issues that raised the stakes for tech giants. NPR's Alina Selyukh is here to tell us more. Hey, Alina. KELLY: Hi. So set the scene for me a little bit more. This was a big meeting at the Justice Department. And what exactly was the agenda? SELYUKH: Right. The gathering was a bipartisan meeting. It was dubbed a listening session by the Department of Justice. There were 14 states represented whether by attorneys general or their deputies. U.S. Attorney General Jeff Sessions was there along with his own deputies. And originally they did, as you mentioned, set this meeting up to address accusations from conservative politicians that social media companies allegedly suppress conservative views. But this meeting ended up being a much broader conversation, potentially more significant. I spoke with the Nebraska attorney general, Doug Peterson, who ran through a list of his concerns focused on consumer protection. DOUG PETERSON: Transparency, whether or not data security is adequate, what type of representations are being made by Internet companies to their users. Do they get true consent? SELYUKH: Peterson is a Republican. And from what he and others told me about this meeting, the AGs talked about a lot of things - how tech companies like Facebook and Google collect user data, how they protect it, how antitrust laws might be used to set the right standards for consumer privacy and whether simply these companies are too big. KELLY: OK, so they met. They talked about all kinds of stuff. Did they come up with any concrete plans to act on all this stuff? SELYUKH: Right. So Peterson told me that next step is many more state AGs are going to be interested in this topic. They are looking at ways to pursue a multistate action of some sort. We don't know what exactly that might mean. It is very early in the process. SELYUKH: For example, Louisiana Attorney General Jeff Landry has previously spoken about breaking up social media behemoths. Landry did not comment today. But I did speak with California Attorney General Xavier Becerra, who's a Democrat. And he says the attorney generals today did talk about historic cases when the government moved to break up companies such as Standard Oil and Microsoft. Here's Becerra. XAVIER BECERRA: There's is a recognition that privacy has a different definition for everyone these days. And what does matter is how the law treats privacy. But clearly, rarely do you have a discussion of privacy without ultimately having a conversation about antitrust. SELYUKH: And of course antitrust is exactly that question of whether companies are too big. But Becerra said the AGs weren't exactly sure that simply breaking up the companies into smaller pieces would resolve all the concerns - for example, those concerns about privacy. KELLY: And meanwhile, I'm imagining tech companies might have some thoughts on all this. SELYUKH: Indeed. Well, I'll tell you a few weeks ago, people in the tech industry were pretty quick to dismiss this whole meeting as political theater. But now we're in a different reality. We've got state AGs from both parties cooperating on much bigger questions. I spoke to Dipayan Ghosh, who is a former policy adviser in Facebook. And he's now a fellow at the Harvard Kennedy School. And we spoke before this meeting. And he said that just having these prosecutors from all over the country digging around the company's algorithmic secret sauce was going to be tough for them. DIPAYAN GHOSH: If the state AGs band together with the attorney general and start to ask really difficult, incisive questions of these companies and threaten action if the industry doesn't come to the table and discuss it, then I think that the industry is going to be in a pretty difficult position. SELYUKH: And this bipartisan meeting today definitely puts them on notice. KELLY: All right, NPR's Alina Selyukh filling us in there on ALL THINGS CONSIDERED from NPR News. Transcript provided by NPR, Copyright NPR.